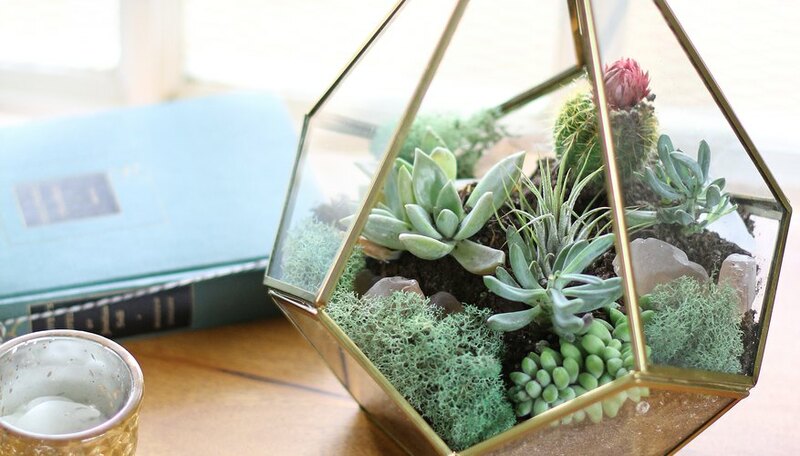 Bring the outdoors inside with a beautiful succulent terrarium. 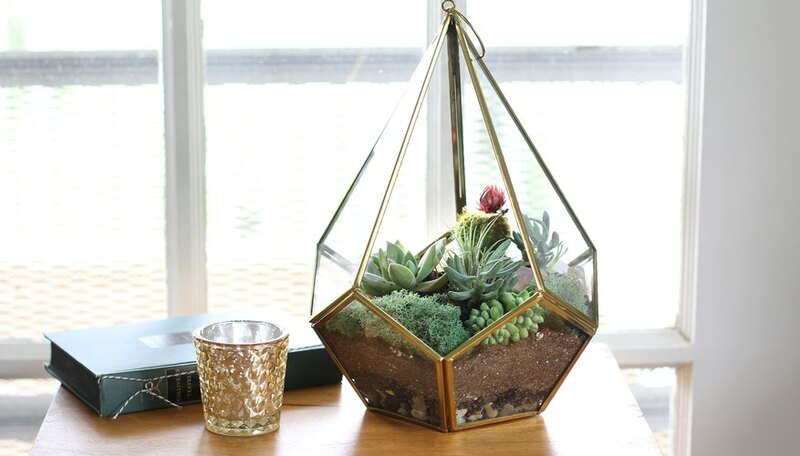 They bring an earthy element to your space and don't need a lot of maintenance. (Hooray for those without green thumbs!) Use them as living centerpieces, style them on bookshelves or end tables, or place them on your patio -- they're extremely versatile. Tip: Be sure to choose a container that is open at the top versus a closed container to prevent moisture from building up. Succulents grow naturally in dry climates. Place a 1/2-inch layer of pebbles at the bottom of the container. 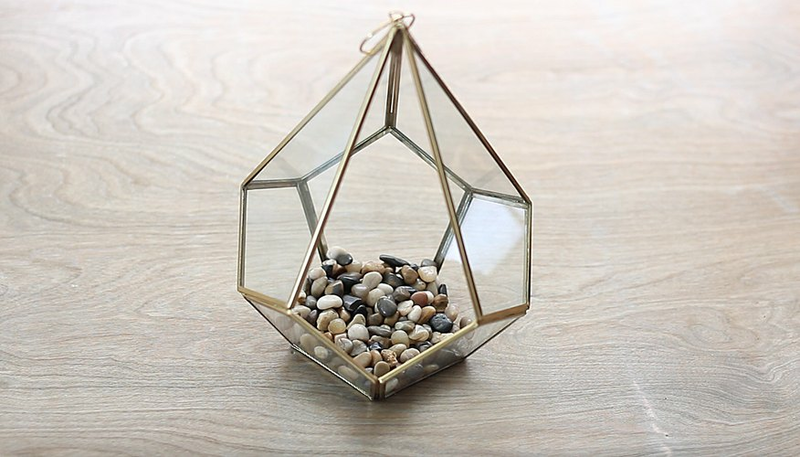 The pebbles create drainage for the terrarium. Spoon a 1/4-inch layer of activated charcoal on top of the pebbles. The charcoal purifies the air inside the terrarium. Add a generous layer of potting soil on top of the charcoal. 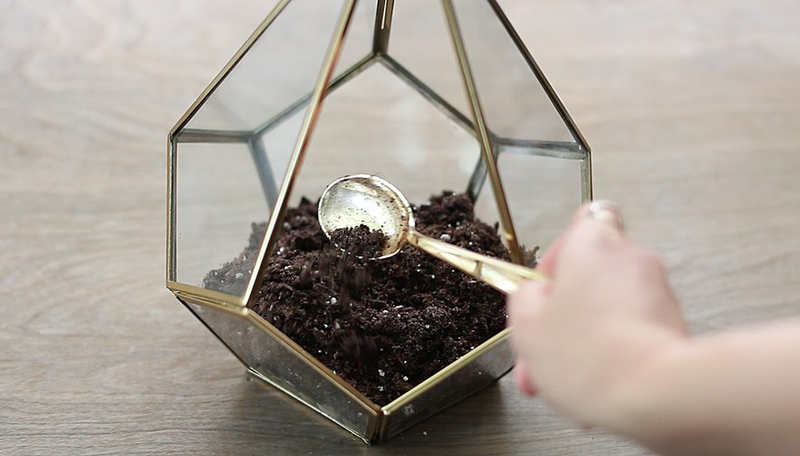 The soil layer needs to be deep enough to plant the roots of the succulents in it. Tip: You'll want to use a sandy potting soil; look for one labeled "cactus." 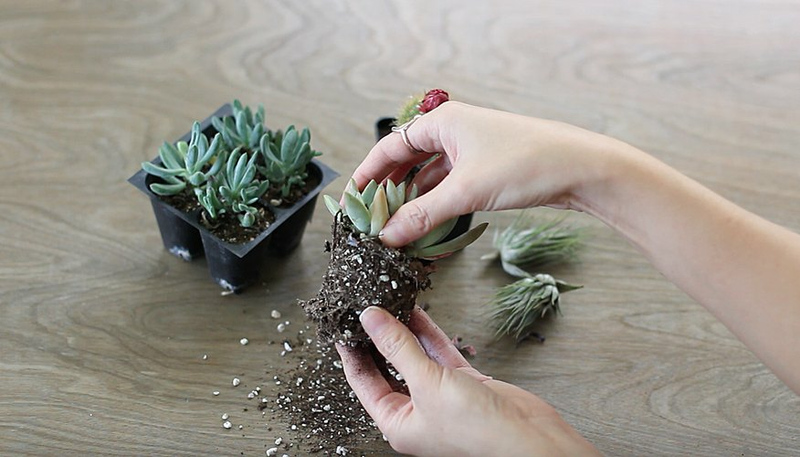 Remove the succulents from their pots and loosen the roots on each plant. 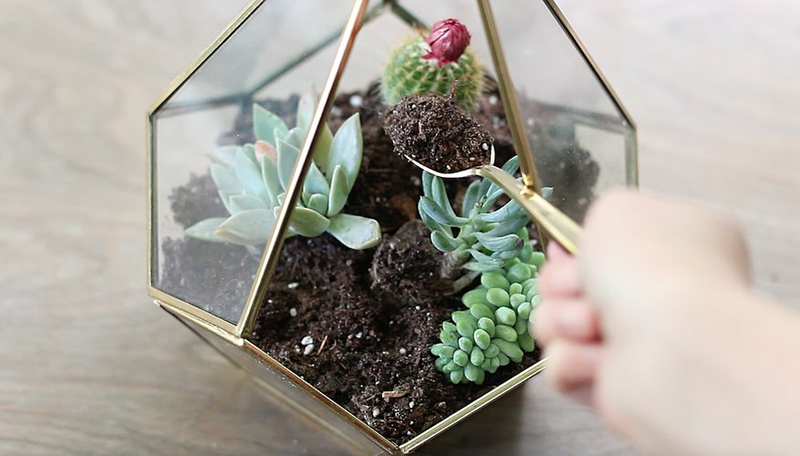 Create wells in the potting soil and plant a succulent in each well. Taller plants work best in the back, while shorter plants work better in the front. You might want to place the succulents on top of the soil before planting them to play around with your configuration first. 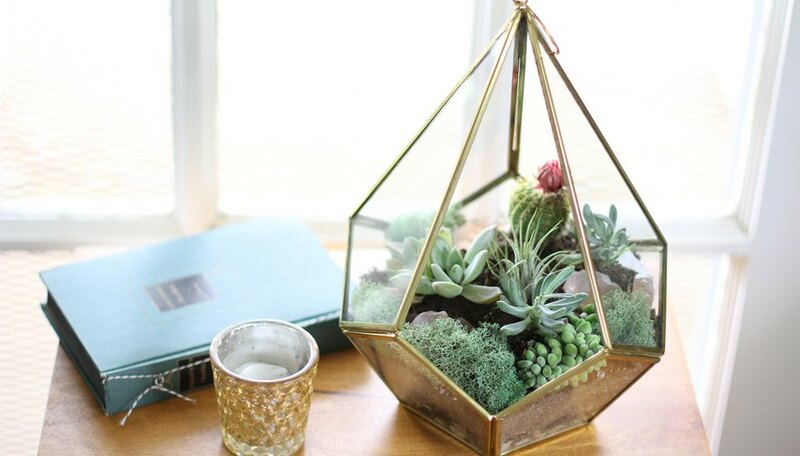 Place moss around the succulents to fill in any empty spaces and also add volume and texture to the arrangement. 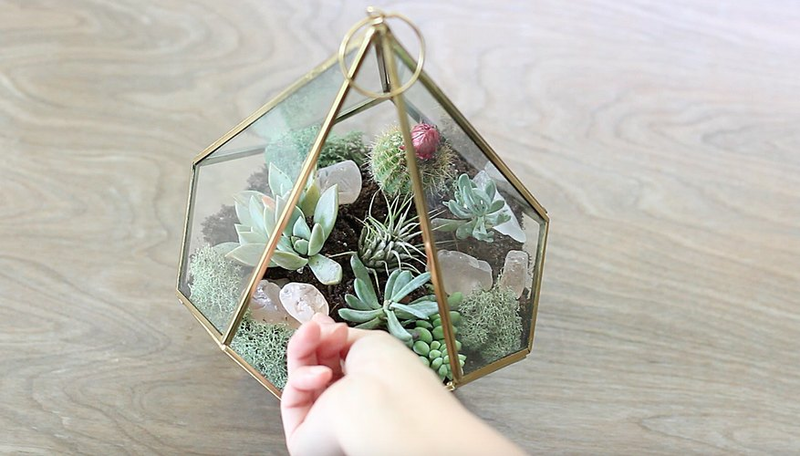 Decorate your terrarium with a few trinkets such as rock crystals, driftwood, tiny figurines, colored sand or more pebbles. 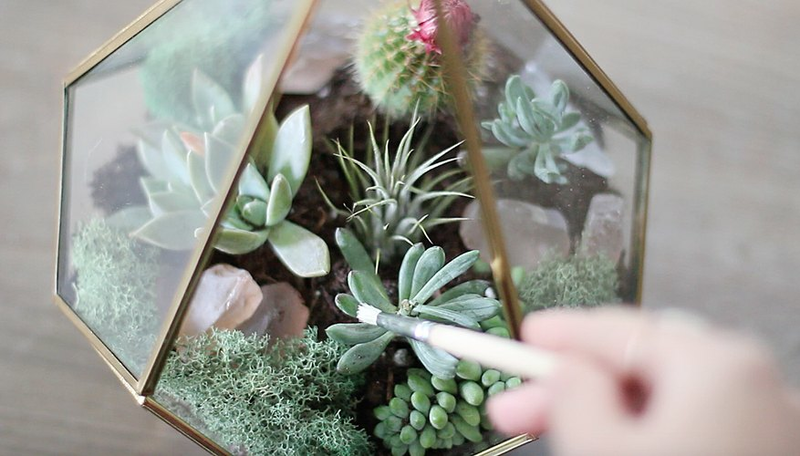 Dust off any dirt from the succulents and trinkets with a clean fine-tip paintbrush. 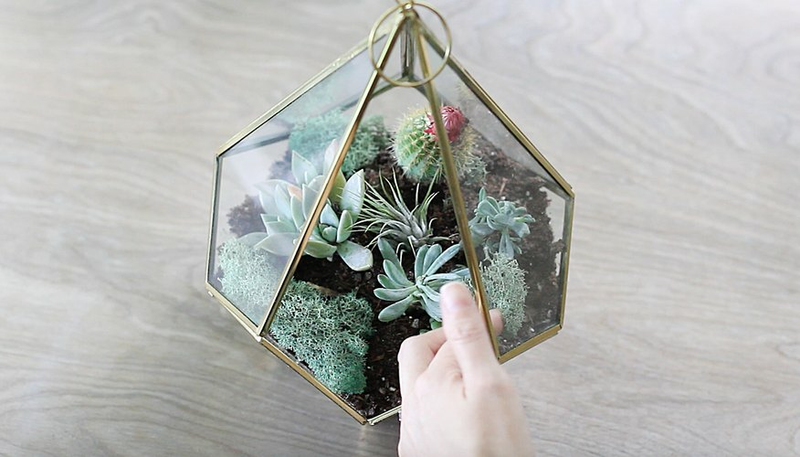 Place your terrarium in a location that gets plenty of sunlight and mist the succulents once a week with water, or when the soil looks dry. Be sure not to overwater it, though. Trisha Sprouse is a video producer for eHow and the founder of Vignette Blog. She specializes in lifestyle content and has a passion for storytelling in all its creative forms.